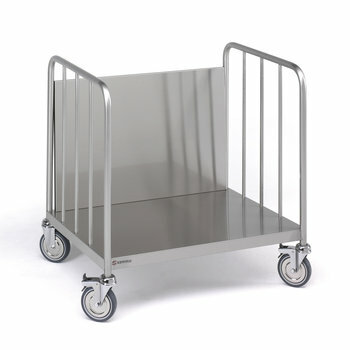 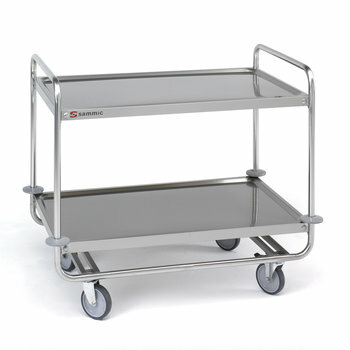 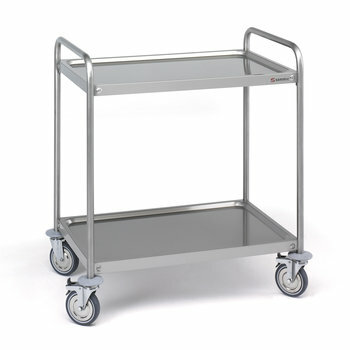 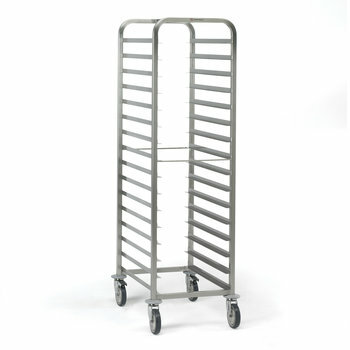 Welded trolley with 18/10 stainless steel tubular frame. 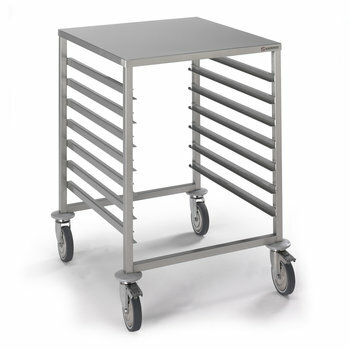 Welded deep-drawn, 18/10 stainless steel shelves with rounded, soundproofed surface. 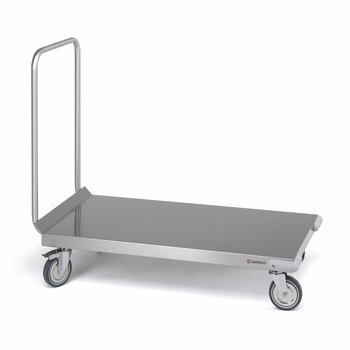 4 rubber, 125mm diameter, swivel wheels, 2 with brakes.